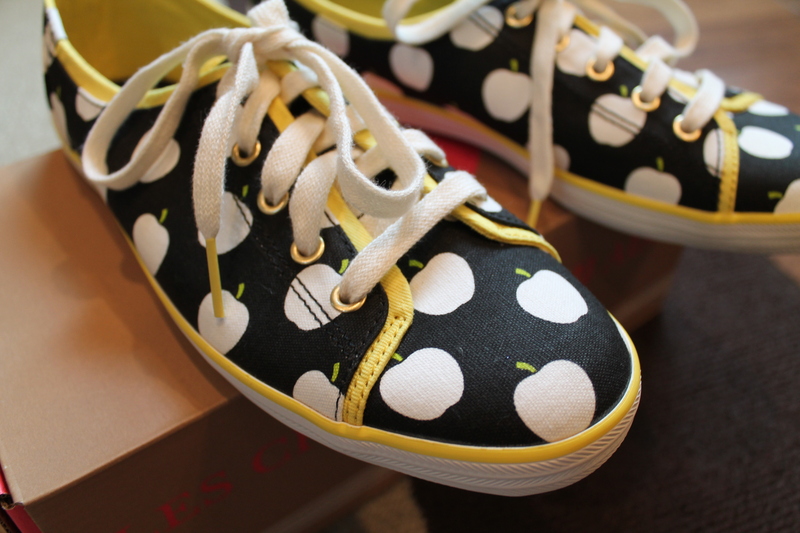 Yesterday I took a break from work to do a little shopping and fell in love with these adorable shoes from Kate Spade. 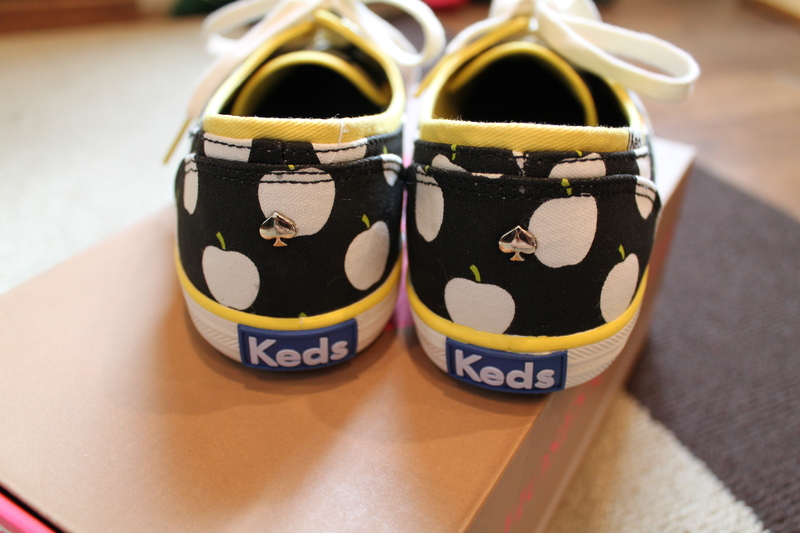 The brand has partnered up with Keds to make a line of patterned and stylish sneakers. 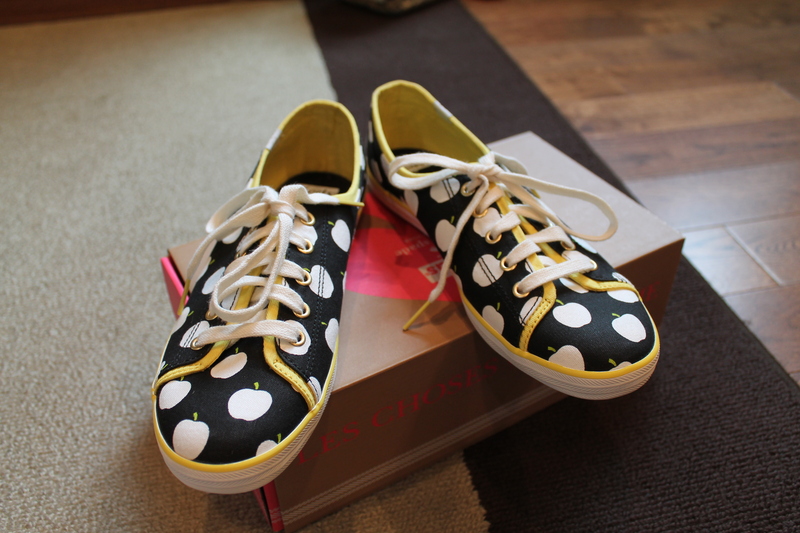 I really liked some of the patterns from last year as well with squiggles and polka dots, but decided to go for it when I saw this pair. They came with an extra pair of shoe laces in yellow, but I think I like the off white ones best.